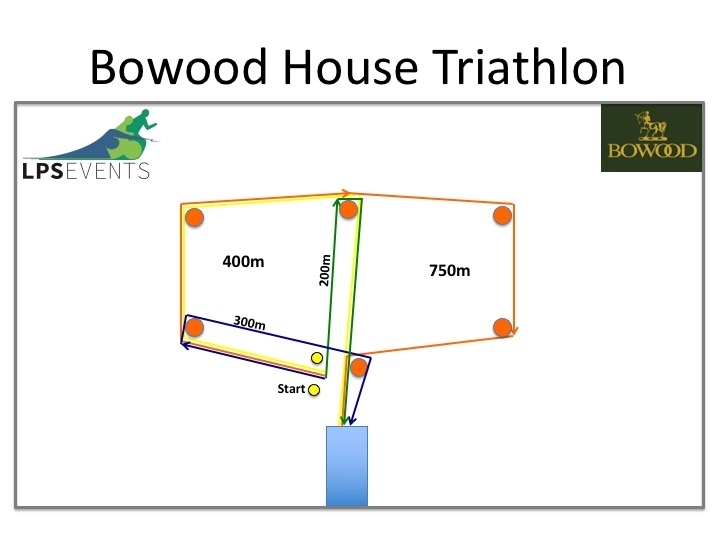 We also have a sprint triathlon and tri stars triathlon distance available - click here. 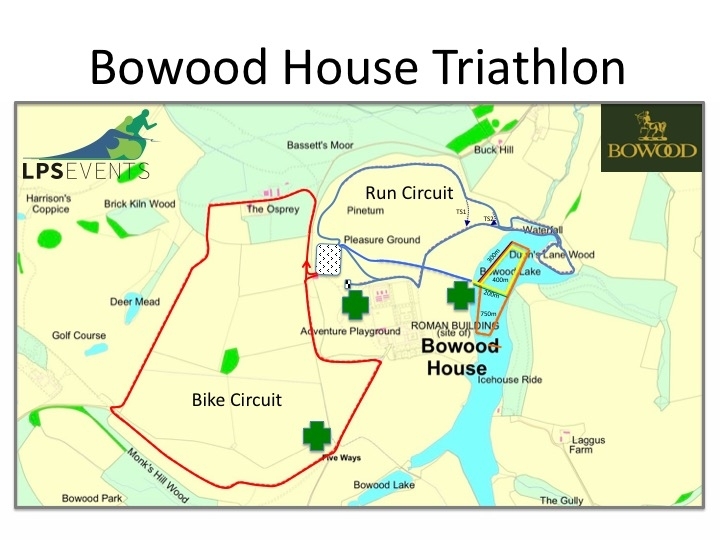 The swim will take place in the fresh water private lake set in the lower part of Bowood Estate. You will enter the water on the pontoon and start between the marked buoys, and swim around the still waters of the lake. The exit will be on the pontoon, which leads into a sloping climb towards transition. Transition will be located on the finely manicured lawns and under the shadows of Bowood House. Racking will be numbered according to waves. The cycle route will take you into the 'wilder' parts of Bowood Estate, looping around the grounds past Bowood Golf Course, Osprey Farm, and including Lord Lansdowne’s' private driveway, which is inhabited with game fowl. Once completing the cycle stage, you will head out onto a scenic run around the gardens passing the secret waterfal and Doric temple. On completion of the lap, the finish line will be near transition. Category prizes will be awarded in the main sprint event only.